The ban was agreed upon in 2002, but goes into effect in 2009. Essentially, it brings to an end the testing of cosmetics on animals in Europe. Despite general popular approval, the ban has been fought all along the way by several groups. To have a more thorough understand of the ban, it's best to take a closer look at these issues and discover what it all means to you. The battle to ban animal testing for cosmetics has been hard fought for a long period of time. The first movement toward the ban came in 1989 with a resolution by the European Parliament. After years of discussion and debate, language for the ban was completed by 1998. Initial passage of the ban occurred in 2002. This directive banned the testing of cosmetics on animals in Europe. During the process, it was learned that some companies planned to circumvent the ban by testing cosmetics on animals outside the border of the EU and then import them for sale. Specifically, a Proctor and Gamble memo was leaked that outlined this plan as a possible response to the ban. This event precipitated the addition of language that forbade the sale of cosmetics tested on animals, regardless of where the testing occurred. The ban was slated to go into effect in 2009. It was actually implemented as a rolling ban, with companies phasing out animal testing as soon as alternative tests became available. However, there are a few tests for which no acceptable alternative exists. Companies have been given until 2013 to find alternatives and end all animal testing. The tests in question relate to cancer, allergic reactions and fertility. The cosmetics industry maintains that animal testing is the only way to be sure that ingredients in cosmetics and personal hygiene products will not cause cancer or aggravate allergies. Also, some products that may affect fertility are difficult to test without the use of animals. France has consistently opposed the EU ban. Collectively, the cosmetics companies in France make it the largest animal tester in Europe. However, opinion polls indicate that 60 percent of French citizens oppose animal testing. The cosmetics industry in the rest of Europe has been generally moving away from animal testing. In fact, no animal testing for cosmetics has been conducted in the UK since 1997. 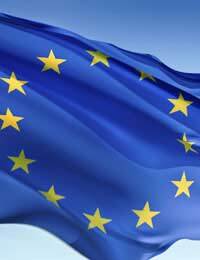 Belgium and the Netherlands have also imposed bans that went into effect before EU action. Opponents of the ban express concern that it will harm trade between global partners that still test using animals, specifically the Americans and the Japanese. However, the move to eliminate animal testing appears to be gaining momentum. Is it possible to tell from the label if a product has been tested on animals? At this point, companies have the freedom to choose whether or not they will label their goods regarding animal testing. The guidelines include a requirement that the meaning of any cruelty-free statement must be made clear. Not all companies choose to label, so the absence of a label doesn't really tell you anything. Those are the basic of the EU ban on testing cosmetics using animals. The process has been long and arduous, but the prohibition against animal testing is really beginning to take hold. Throughout Europe, most animal testing for which there is a valid alternative method has come to an end. There continues to be some opposition to a complete ban, but it appears that those forces are losing steam. You can rest assured that any cosmetics you purchase today in Europe have not needlessly exploited animals in the process of coming to market.